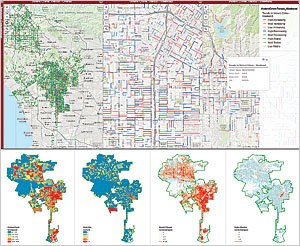 "We want our students working on real problems with real people and real data," said spatial sciences and sociology professor John Wilson, who also directs the USC Dornsife Spatial Sciences Institute (SSI). The SSI research team—which consisted of USC postdoctoral research associate Noli Brazil, GIS project specialist Beau MacDonald, graduate student Yuqing Qian, and undergraduate students Robin Franke, Izzy Mitchell, Leo Ngo, Kyra Schoonover, and Richard Windisch—presented its findings to Los Angeles mayor Eric Garcetti's deputy mayors, his data team, the Los Angeles Police Department (LAPD), and representatives from other city departments and agencies. The presentations demonstrated how a mapping app can uncover important crime patterns and how, by implementing a street segment approach, city leaders can better understand where and when crime occurs. "The students brought us an innovative approach that will be tremendously useful as the mayor's office, LAPD, and other city stakeholders work to develop policies and strategies to improve community safety," said Brian Buchner, Garcetti's policy director for public safety. "This mapping application is an important addition to our toolbox and directly supports the mayor's emphasis on making data-driven decisions." Windisch, a Los Angeles native and a junior at USC majoring in geodesign, is enthusiastic about the potential of data troves like GeoHub to help cities run more smoothly. "I was able to see the importance of my degree in spatial sciences and how it can benefit an entire city, as well as improve the understanding of Los Angeles' working parts through the lens of different city departments," Windisch said. "I truly envision the LA GeoHub opening a door to better understand spatiotemporal patterns in crime occurrence, support the ability to better deploy city resources, and make policy changes that improve public safety." 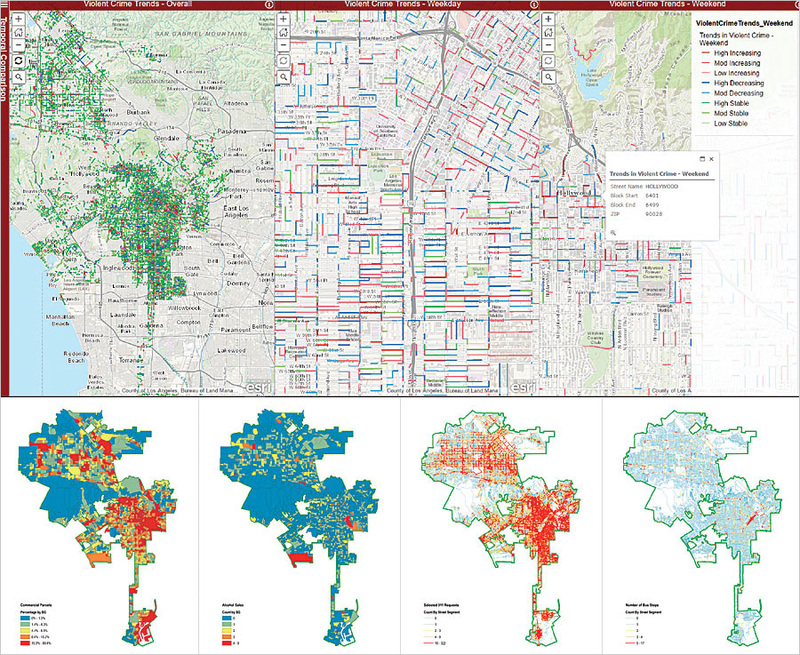 Explore Los Angeles' open data.